Warning – This article contains spoilers for anyone who has not seen the movie Lady Bird. A critical success, this film about a mother and daughter relationship falls into the ‘coming of age’ genre, however it is also so much more than this in considering the systemic and unconscious processes at work that make this film both poignant and painful to watch. How do I leave my family? These two questions are in reality interconnected, as it is through desire that we leave the family. However, in a family where the roles are blurred, and for a young woman whose desire has always had to be curtailed to cope with her mother’s envy, the two questions are complex and the unconscious conflict immense. From the opening scenes, we see a mother who struggles to see her daughter as separate to her. She clearly loves her, but also invests her own unfulfilled desires in her daughter. This is suffocating for Lady Bird, to the extent that in an early scene, she flings herself from the car to escape the literal confines of being with her mother: existence is impossible with her mother and hurling herself from a moving vehicle is less a thought-out action of leaving, than a murderous gesture – self destructive to her and to her mother. As the film unfolds, the usual twists and turns of teenage experience are interspaced and amplified by the complexities of Lady Bird’s family. Her father is impotent – he loses his job and cannot separate mother and daughter. However, what he does know is that Lady Bird must leave, and he facilitates this through making financial arrangements for her university education, without involving his wife to whom he seems to be unable to stand up against (or to come alongside). This arrangement is pragmatically what Lady Bird needs, however, psychically it further undermines her autonomy and blurs any clarity of who she is in the family and who she is in relation to her mother. Lady Bird understands, like so many of us who have had envious mothers, that she needs to ‘split off’ (disavow) her desire and get it met secretly, if at all. Or she can turn it into something destructive. Both choices aim to protect her relationship with her mother. She gets in with the exciting, but bad crowd and swaps her boyfriend (who it turns out is gay) for an aloof boy who, like his friends, is nihilistic in his outlook on life. Neither her gay boyfriend nor her disinterested one will help her leave her family, as neither contain her true desire. Here Lady Bird seems to be asking herself less about her own desire and more about that of others: who am I for others and what do they want from me? A question she asks herself repeatedly in the relationship to her mother. There are two scenes in the film which fill us with hope for Lady Bird: the first when she owns her wish to go to the school prom and be with her old friends, thereby stepping away from her less nihilistic friends who are ‘too cool’ for school, but who in reality actually have no idea about what they want, other than to rebel. The second scene of hope is at the end of the film where Lady Bird is at an unnamed university in New York. Lady Bird’s father has slipped a pile of discarded attempts at a letter her mother tried to write to her into her suitcase which she finds. 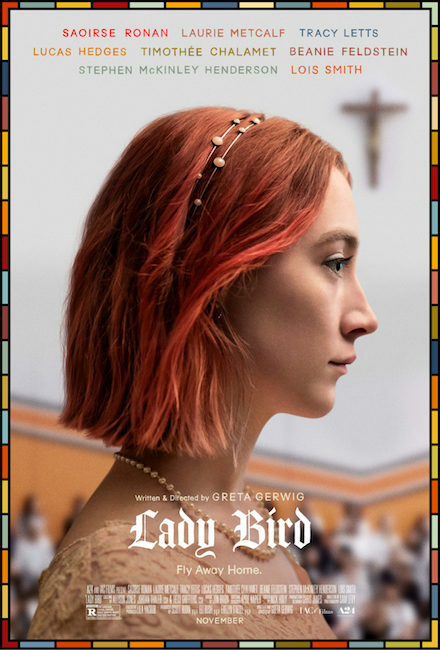 This is significant as Lady Bird’s father is finally able to help mother and daughter separate: he encourages his daughter to leave but provides her with the evidence her mother loves her; he assumes his rightful position as his wife’s husband by consoling her at the airport when she, as a result of her struggle to let her daughter have her own desire and individuate, misses her daughter’s departure. Towards the finale, there is a perfectly ordinary scene with Lady Bird, at what me must assume is her first party in New York, she drinks, meets a guy and they end up at his or hers. She then becomes ill and the next scene is at a hospital where we learn she has drunk far too much. This scene is a reminder of the powerful unconscious forces at play in Lady Bird – whether she can find a way to individuate and own her desire or create distance from her internalised mother through self-destructive acts (think back to the hurling herself from the car). Ultimately the viewer is left with hope as she seems to have enough psychic distance to claim her birth name – Christine – and to find ways to be like her parents (visiting a local church), without having to be defined by being them, or not being them. Christine makes a call home to speak to her mother but she gets the answerphone. The message here? That her mother and family can survive her going and that they can too move on with their lives. She is free. Sam Jahara is a UKCP registered psychotherapist, certified transactional analyst and clinical supervisor. She works with clients and supervisees in Hove and Lewes. 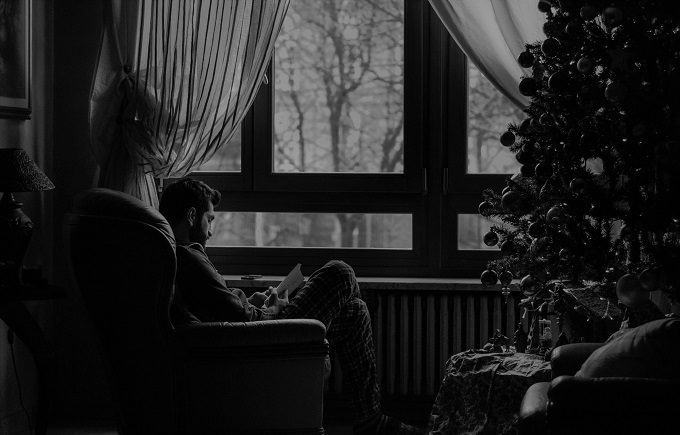 Christmas can be an emotionally challenging and difficult time for many of us. There is such expectation on how Christmas ‘should’ be. Yet like the weather fails to deliver on the ‘winter wonderland’ scenes on the TV adverts, for many of us, our family experience often falls far short of the loving idyllic family reunions depicted in those same snowy adverts. What makes Christmas particularly difficult? Aside from the expectations we put upon ourselves, it has all the classic ingredients of being either an explosive disappointment or a damp squib. Christmas is often a time when we get together with family members we would only other see on other festive days or, as the saying goes, weddings and funerals. Often, we have little close relationship with these family members. Yet somehow we expect to feel a close bond with them on this day in particular. Many families are now what is referred to as blended families. Nowadays, it is normal to grow up with step-parents, step-siblings and half-brothers and sisters. While this does not necessarily lead to conflict, it can make the delicate balance of Christmas Day complicated and fractious. Compromise is often the order of the day. Christmas is often a difficult time thanks to the ghost of Christmas past. Many relationships break down over Christmas and can leave us with tainted childhood memories of parental feuds and the accompanying grief. This then plays out in the present, potentially contributing to conflict with family members – the trauma repeats. And then there is the one extra ingredient that can make things seem so much worse than they are; the explosive charge in many Christmases – alcohol. Consuming alcohol in and around Christmas is normalised and we can often feel under pressure to ‘join in’. Many of us also use alcohol as a way of coping with the day, the family members who descend upon us, the expectations, unhealed rifts and so on. However, when it comes to managing emotions and conflict, alcohol has never been a solution. If you are in a relationship, talk to your partner. Explain to them that you may find the day hard and agree how you will ask for support when needed, or how you will support each other. Examples may be anything from starting the day together and connecting through to holding each other in mind. You can demonstrate this through small reassuring gestures such as visually checking in with one another. Christmas is only a day. The expectations we feel in relation to it are largely in our own head. By pausing and accepting that there is no such thing as a ‘fairy-tale Christmas’ (except perhaps for some fortunate children) we can gain a little space to see it for what it is. Memories of past Christmases, while present, need not dominate our experience in the here and now. Accept that it is a difficult time for you, know that it is for many others, be compassionate with the feelings that the season evokes and remember it is only a day. Sometimes we feel strong emotions on particular days that are simply reminders of the past – echoes – and we have the power to create something different. Nobody is telling you not to drink on Christmas Day. However, if it is a day that evokes sadness or anxiety, alcohol will not improve these feelings for long. Once it wears off, they will be back with a vengeance and accompanied by a hangover. The opposite of using alcohol to self-soothe is to soothe through relationship. Even if you are not in a relationship with another, you are in a relationship with yourself and can hold yourself in mind. One of the traps people often fall into is that they imagine that they have no choices on the day; they simply have to do what is expected. Doing what is expected is a choice in itself! Even if you do feel that there is little on offer for you during the day, a change of perspective and holding in mind why you are choosing to make these choices can be helpful. For example, rather than framing it as “I have to go see X person, or Y will be disappointed”, you can rethink it as “I choose to see X person as I want to give that as a gift to Y’. Even if the day feels full and focused on others, it is always possible to take a few minutes out to calm yourself. You can breathe, come back to the here and now and remind yourself – Christmas is only a day. See my blog on avoiding panic attacks for a simple but effective practice to calm yourself and return to the here and now. Mark Vahrmeyer is a UKCP-registered psychotherapist working in private practice in Hove and Lewes, East Sussex. He is trained in relational psychotherapy and uses an integrative approach of psychodynamic, attachment and body psychotherapy to facilitate change with clients. Grief – how to grieve? Grief is often referred to in the context of intense feelings experienced with the loss of a loved one. The loss we experience is often caused through death. Grief is, therefore, synonymous with bereavement. This, however, is nowhere near the whole story. In order to know how to grieve, we need to understand grief. When we are told that someone is grieving, we may assume they are feeling intensely sad. Although this is often true, grief is comprised of a multitude of emotions, and sadness is only one. One of the early pioneers of grief work (yes, there is such a thing), was Elizabeth Kübler-Ross. She suggested grieving was an active process that required a “working through of emotions” broken down into five core groups: denial, anger, bargaining, depression and acceptance. Sadness would fall into the ‘depression’ group in this model. Since Kübler-Ross, plenty of other models have been proposed. All of these have added something to the field. I will not directly elaborate on these in this blog, but further information can be found on the Internet. Grief is, therefore, an umbrella term for a whole host of emotions, and it is a verb. It is something that we must allow ourselves to experience and actively engage with. Emotions exist within us, whether we consciously acknowledge them or not. Where we are unable to feel them (through repression, which is always unconscious) these emotions will often express themselves as a conversion reaction. They will be expressed through the body such as in aches and pains. They may be expressed through even more obscure symptoms, such as a loss of physical movement. Where we are aware that we are feeling grief, but actively suppress the feeling, emotions are likely to manifest as anxiety or depressive symptoms, which can persist for years. We must grieve because we need to acknowledge what we feel. If we do not (because we can’t or won’t) things get complicated. Grieving (in the context of bereavement) used to be a socially prescribed activity which was both acknowledged by the wider community and defined as a process. Those who were bereaved would often wear symbols of their grief – black clothes or a black armband. Within their community, it was acknowledged that they would be grieving for a set period of time, often a year. This practice has largely been lost in northern Europe. However, in southern Europe, it remains common in more traditional communities to see widows wearing black for the remainder of their lives. Love it or hate it, the one thing religion gave (or gives) us is a powerful story of what happens after we die. From the Vikings with Valhalla to the Christians and Heaven, the concept of an afterlife can bring great solace to loved ones who are left behind. The loss of socially prescribed ways of mourning, combined with a loss of religious beliefs, has made grieving more difficult. A universal task in coming to terms with grief is to find some sense of meaning within it, and to weave this together into a narrative. We are no longer provided with cultural narratives in the way that we once were. This then becomes something that we need to do ourselves. Why is grief hard for some people? When I embarked on my own professional psychotherapy career, working directly with dying patients and their relatives, I imagined that the loss of the deceased would be felt most acutely where relationships had been close, connected and happy. However, the inverse was true. Where relationships had been difficult, strained, or even devoid of contact for long periods of time, the bereaved would often struggle to process the loss far more. This occurred particularly where the relationship was between a parent and their (adult) child. The reason for this lies in attachment and in how we learn, through attachment, to feel. For those of us lucky enough to grow up in homes where there is no abuse or neglect, and no unexpected losses, we find it relatively easy to move in and out of relationship – to say ‘hello’ and ‘goodbye’. With the security of the relationship comes an ability to feel emotions and make sense of what is being felt. Thus, the process of grieving, whilst hard, is something that can be actively undertaken. In some parent/child relationships, the child has been significantly disappointed by the parent in the past. Parental neglect and/or abuse can lead to an accumulation of unacknowledged earlier losses in the relationship. In these cases, the final physical loss of the parent can make it very hard to come to terms with the enormity of all the losses that person represents. The loss is not only of the relationship and person, but also of hope. If the relationship between parent and child was strained or difficult, it is likely the bereaved will be poor at navigating his or her emotional states. This makes grieving terrifying, at best, or unthinkable, at worst. As a clinician, I get a lot of fulfilment in helping clients to grieve. It is different from any other presenting issue they bring to me. Grief is the universal leveller. We will all experience it at some point in our lives. The way out and through grief is always the same – we have to feel the full range of emotions that our grief brings up. Grief is not a mental health condition, and yet many people become stuck with their grief. When this happens, the secondary symptoms can mutate into more complex conditions such as anxiety, clinical depression and panic attacks. Shame is hard to talk about, as we tend to manage it through secrecy. We hide what we are most ashamed of about ourselves. Unfortunately, shame is bound up with our bodies and so moments of feeling ashamed can often be accompanied by physiological responses which feel exposing and so exacerbate our shame further. Shame is a social experience as it seems to rely on the presence – in reality or in our minds – of an observing other or others. Shame can also be linked to social differences, such as class, sexuality, ethnicity or disability. This is because at a social level, certain groups are made to feel shame for the rest of society. In this way, shame is also connected to power. Shame can be culturally specific – i.e. what might be regarded as shameful for one culture may be less or more so for another. Shame is thought to be bound up with feelings about the ‘self’ and identity. It arises at an early stage in childhood when we realise there is a gap between our experience of ourselves from within and how we might be seen from outside. Shame is therefore linked to self-awareness and how we might appear to the ‘other’. Early in childhood this ‘other’ will be main caregivers and their responses provide a blueprint for later experiences of being ‘seen’. How early family relationships mirror back to the child approval or disapproval is likely to shape their relationship to shame. Shame does have positive functions. It helps us know about appropriateness in our relationships with others. Shame is normal and a part of being human. In an ideal world, we would all be able to experience shame fleetingly. However, chronic shame is highly problematic for many people. As shame is very inhibiting, it can prevent healthy openness and authenticity. Whatever is felt to be shameful in the person must be covered up. This protective mechanism further complicates the damage shame can do to healthy development and the quality of relationships. Examples of this might include; vulnerability hidden away behind a veneer of toughness or aggression, angry feelings that are disguised and managed by over-compliance, sexual desires that need to be suppressed and protected by prudishness or disgust. This list could go on. 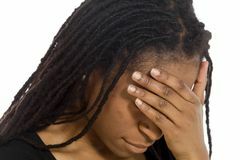 Individual psychotherapy can often be the starting point for the individual to test out and expose their hidden shame. Sometimes, people are very aware of what shames them. However, this is not always the case and not all areas of shame are fully known about. It can be a surprise, during psychotherapy or counselling, to realise certain memories, experiences, thoughts, or feelings produce intense shame. The therapist helps investigate and tackle shame through their specific type of therapy. In this process, it is also their non-judgmental and accepting attitude that helps to undo earlier experiences of disapproval and criticism. 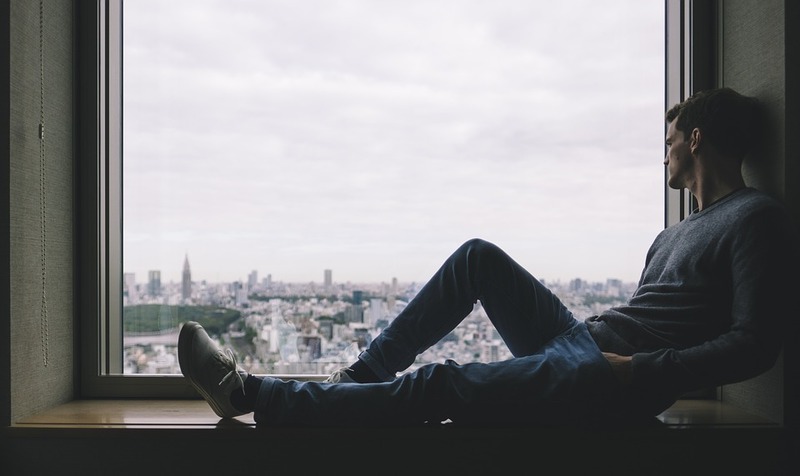 While the idea of a psychotherapy group can feel intimidating for people struggling with experiences of chronic shame, the non-judgemental atmosphere of the group can dissolve shameful feelings powerfully. 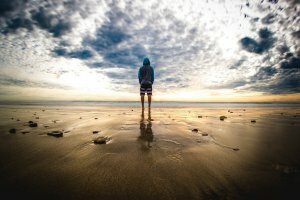 Because shame is based in the experiences or fantasies of disapproving other/s, stepping into a social domain such as a group can help engage with and counter these feelings in a very direct and immediate way. Secrecy fuels and exacerbates shame, however, it can also feel that it is the only way to protect the self from the experience of being seen in a shaming way. The safe and non-judgemental relationships offered in individual psychotherapy or group psychotherapy can provide the opportunity to take tentative first steps towards breaking out of the destructive cycles of secrecy and shame. Claire Barnes is an experienced UKCP registered psychotherapist and group analyst offering psychodynamic counselling and psychotherapy to individuals and groups at our Hove practice. ‘Dependence’ is a term that can carry negative connotations. To be ‘dependent’ might imply that we are unable to function alone and that we are unable to be the agent of our own life. It can also be interpreted as subscribing to outdated ideologies of male/female gender roles – the belief that women should be dependent, and men independent. However, as is often the case in psychotherapy, learning to be dependent can be exactly what a person needs to do. As is always the case in psychotherapy, this dependence is with a view to enabling the client to become genuinely independent. In this sense, dependence is, therefore, a paradox. I have previously written about the false sense of independence that some people have, which is born out of emotional neglect – a type of pseudo-independence. In a former blog, I referred to Boarding School Syndrome, in which the illusion of privilege masks emotional neglect and serious attachment disruption. Pseudo-independence is an extreme reaction against dependence rather than true independence. If, as children, clients have been let down emotionally, or worse, neglected, they learn that nobody can be relied upon. It doesn’t matter whether this neglect came from an upbringing in the social care system or from within the gilded prestige of a boarding school education. These individuals might seem very capable and strong. However, this apparent strength is a mask to protect them from connection, relationships and dependence in the ordinary sense of the word. Beneath the highly developed outer mask (in the case of neglect couched as privilege) lies a fragile interior. These clients crave connection. They want to be seen and validated for who they are and how they feel. But they find this terrifying. So, instead, they will often throw themselves into high-powered jobs, extreme hobbies or anaesthetise their inner voice with fine wine or expensive drugs. In the case of someone who has experienced a more outwardly evident neglectful childhood (such as being raised in the social care system) the exterior shell of pseudo-independence is generally less polished and socially acceptable. Instead, their pseudo-independence may be shown through a turning away from society in the form of criminality and a “don’t mess with me” exterior. How does learning to be dependent lead to healthy independence? Well, psychotherapy is about learning to have a relationship with both our therapist and with ourselves. It is a process of giving voice to parts of ourselves that we have had to repress, split off or even kill off to survive. It is a relationship in which, week after week, the client learns to be seen and heard, to be accepted and validated. Little by little, if the client allows themselves to really feel seen and heard, and believes it, then it must mean that the other person in the room matters to them. Thus, it is through the psychotherapist mattering to the client that they can finally learn to rely on another emotionally. Then, a collaboration can begin, with the psychotherapist coming alongside the client to help them make sense of their world. In every psychotherapeutic relationship, the end is always in sight. It may be a very distant sense of an ending on the horizon, which may be many years away. Nonetheless, it is there. Therefore, the willingness of the client to allow the psychotherapist to matter to them, though this relationship will, one day, come to an end, is courageous. The process of becoming dependent and then becoming independent marks a shift in the relational quality of the client. If they can do this with a psychotherapist, maybe they can allow someone else to matter to them in an ordinary way. Through learning ordinary dependence, which they never learned in the first place, clients can learn to navigate the ordinary ebb and flow of relationships. They will then discover that dependence on another is not terrifying, after all. Even when we eventually have to say goodbye.